CHARLOTTE, N.C. -- More than 50 community, business and energy leaders attended a ribbon-cutting ceremony today for Duke Energy Renewables' Shoreham Solar Commons Project, a 24.9-megawatt (MW) facility near Brookhaven, N.Y.
Shoreham Solar Commons is located about 60 miles east of Manhattan, on the site of the former Tallgrass Golf Course. It was placed into service July 1, and the Long Island Power Authority (LIPA) is purchasing the power under a 20-year agreement. "As we continue to provide affordable, renewable energy to customers across the United States, we are especially pleased to be here for our first renewables project in the state of New York," said Rob Caldwell, president, Duke Energy Renewables and Distributed Energy Technology. "The solar project will deliver tremendous economic and environmental benefits to the state and local community." 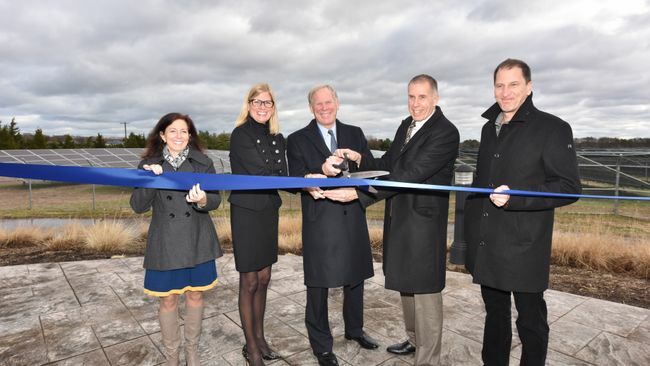 "The integration of this significant solar project into the Long Island Electric System not only provides clean energy to our rate payers, it also helps Long Island reduce its dependency on fossil fuels," said Paul Napoli, vice president of power markets, PSEG Long Island. "PSEG Long Island is pleased to support a clean renewable energy future on Long Island and assist New York State in the achievement of 50 percent renewable energy by 2030." Duke Energy Renewables acquired the project from Invenergy, who constructed the project on the grounds of a former golf course. "Our team was proud to manage the development and construction of Shoreham Solar Commons, and we look forward to providing world-class operations going forward to ensure the project delivers on its economic and environmental benefits." Alex George, Senior Vice President, Asset Management & Operations, Invenergy said. "With renewable energy projects across the state, Invenergy is proud to support Governor Cuomo's ambitious energy vision to provide affordable clean, renewable energy to more New Yorkers." The project is expected to generate between $700,000 and $900,000 in annual tax revenue. The energy produced is estimated to displace 29,000 tons of greenhouse gas emissions annually and create nearly 1 million megawatt-hours of clean, renewable energy over its lifetime. Duke Energy Renewables' utility-scale wind and solar assets total about 2,900 megawatts (MW) – across 14 states – from 21 wind and 64 solar projects. 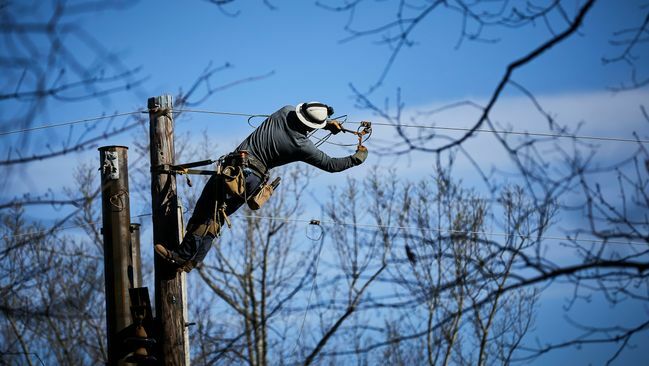 The power produced by these projects is primarily sold through long-term contracts to utilities, electric cooperatives, municipalities, and commercial and industrial customers. Visit Duke Energy Renewables for more information. PSEG Long Island is committed to building an industry leading electric company dedicated to providing the people of long Island and the Rockaways with exceptional customer service, best-in-class reliability and storm response, and a strong level of involvement in the communities in which its employees live and work. PSEG Long Island is a subsidiary of Public Service Enterprise Group Incorporated (NYSE:PEG), a publicly traded diversified energy company with annual revenues of $9.1 billion and operates the Long Island Power Authority's transmission and distribution system under a 12-year contract.